Aurum’s Ultra High-Performance, Unbalanced Subwoofer Cable offers the highest level of audio purity for home theater and high-end audio enthusiasts. This RCA Male to RCA Male sub cable includes 99.99% pure copper dual center conductors and a braided gold cotton outer jacket to block noise so you hear the purest, noise-free bass possible. Available up to 15 meters in length, Aurum’s balanced RCA sub cable is an ideal addition to multichannel home theaters and high-end audio systems. Aurum’s Ultra High Performance Unbalanced Subwoofer Cable delivers the purest low-frequency signals to your subwoofer and is an ideal addition to multichannel home theaters or high-end audio systems with active or passive subwoofers. The difference in specialty cables such as Aurum’s RCA sub cable and ordinary RCA cables is the quality of metals used and the insulation that protects it from noise. 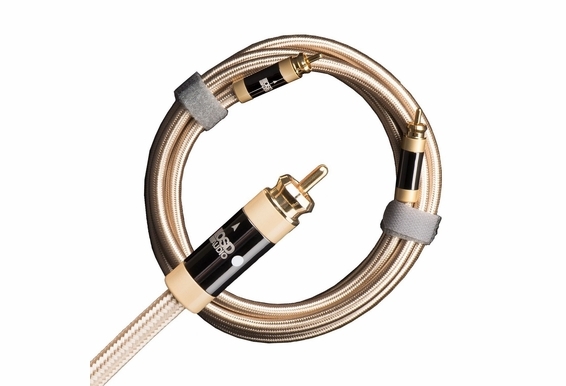 This unbalanced subwoofer cable includes double-shielded directional twisted pair center conductors, a Mylar foil shield and a copper braid grounded at the source end for 100% shielding. In addition, proprietary custom tooled gold/gun metal-plated connectors and a split-tipped center pin ensure a tight connection and flawless signal transfer. Aurum’s Ultra High-Performance Unbalanced Subwoofer Cable contains 99.99% copper dual center conductors. The high conductivity of copper adds warmth to the audio and allows subtle sonic detail to come through, particularly on low frequencies. 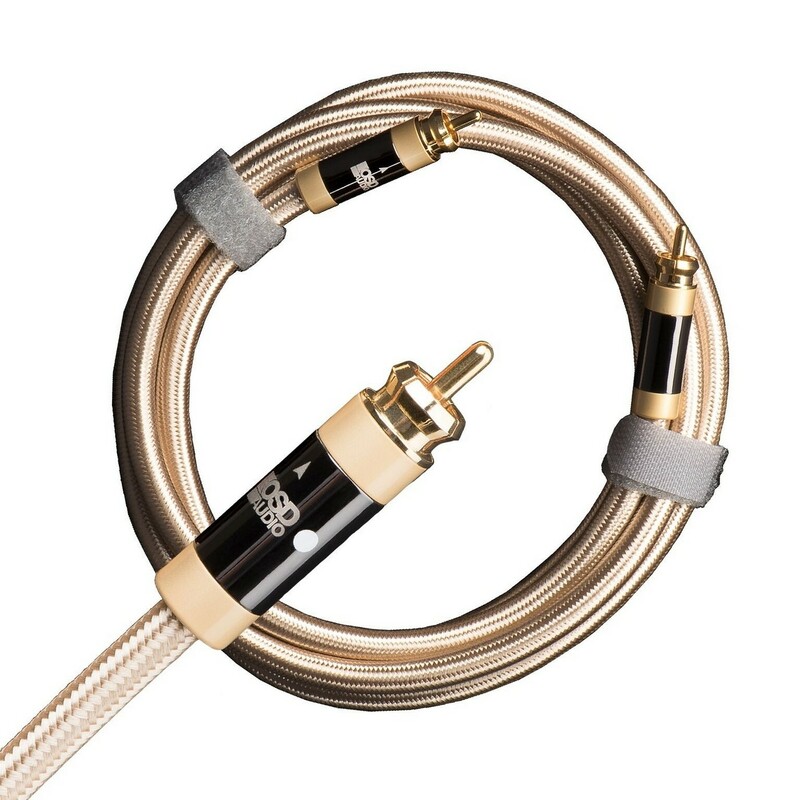 Extremely well shielded from RFI and EMI or “hum and buzz” that can invade even the most meticulously planned audio or surround sound systems, our premium low-level RCA male to RCA male sub cable includes a braided gold cotton outer jacket that is both durable and extremely flexible. Aura makes cables that do what we say they will, but we don’t exaggerate our claims or our price. The integrity of each cable is carefully tested throughout our manufacturing process, so every Aura cable delivers on performance or you can return it with no questions asked. Sold as a single cable and available in 1m, 2m, 3m, 5m, 8m, 10m and 15m sizes, Aurum RCA subwoofer interconnects include two Velcro cable ties that keep the cable runs neat and manageable.